Diamond Details: 14 Marquise cut white diamonds, of F color, VS2 clarity and excellent cut and brilliance, weighing 2.68 carats total and 6 fancy yellow diamonds, of exquisite color weighing 2.07 carats total. 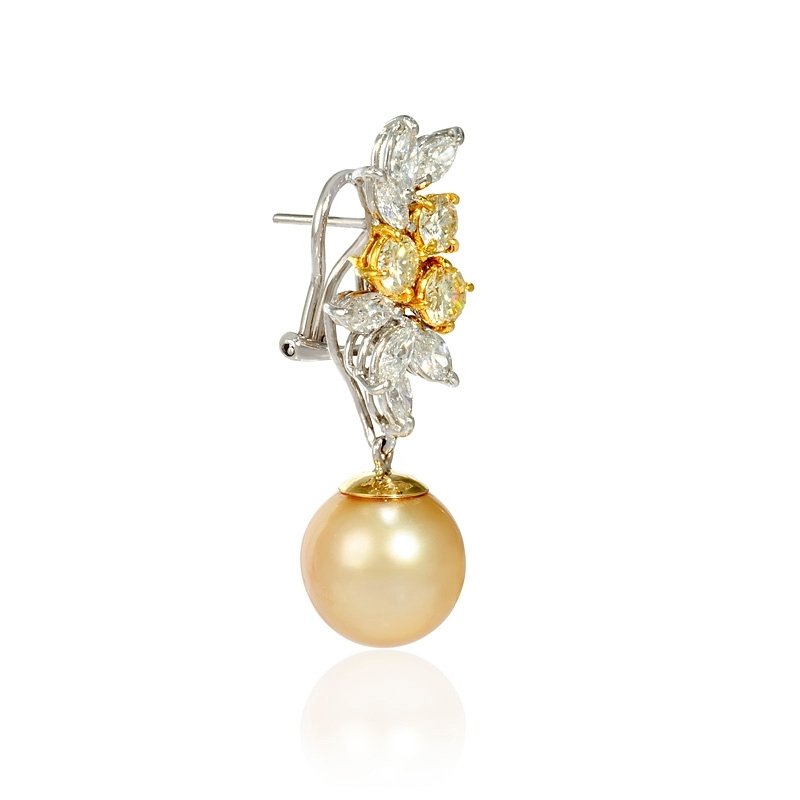 Pearl Details: 2 South Sea golden pearls, a very high of luster, measuring 13mm in diameter. 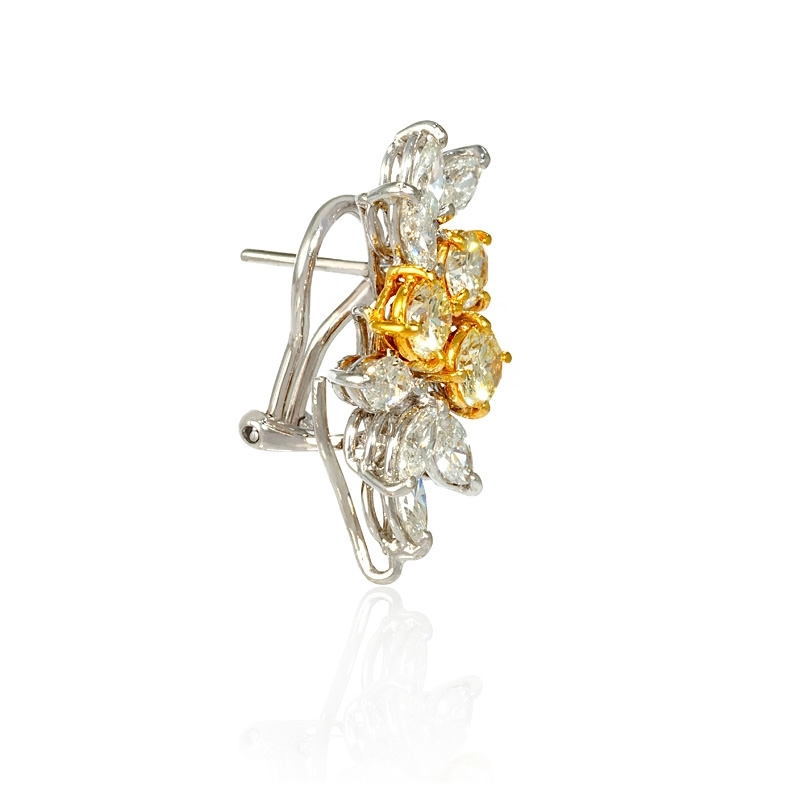 Earring Details: 18k white and yellow gold and dangle style with detachable pearls. Measurements: 1.5 inches length and 13mm at its widest point. 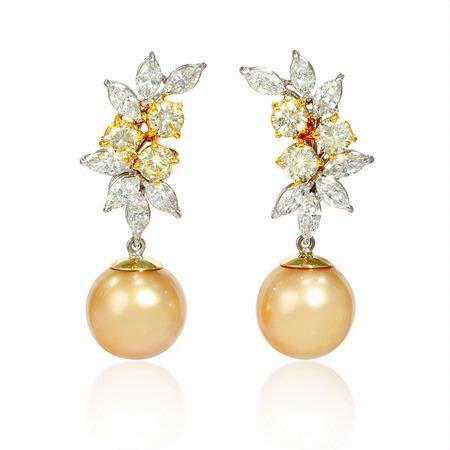 This stylish pair of 18k white and yellow gold dangle earrings, feature 2 south sea golden pearls, a very high of luster, measuring 13mm in diameter with 14 marquise cut white diamonds of F color, VS2 clarity and excellent cut and brilliance, weighing 2.68 carats total and 6 fancy yellow diamonds, of exquisite color weighing 2.07 carats total. 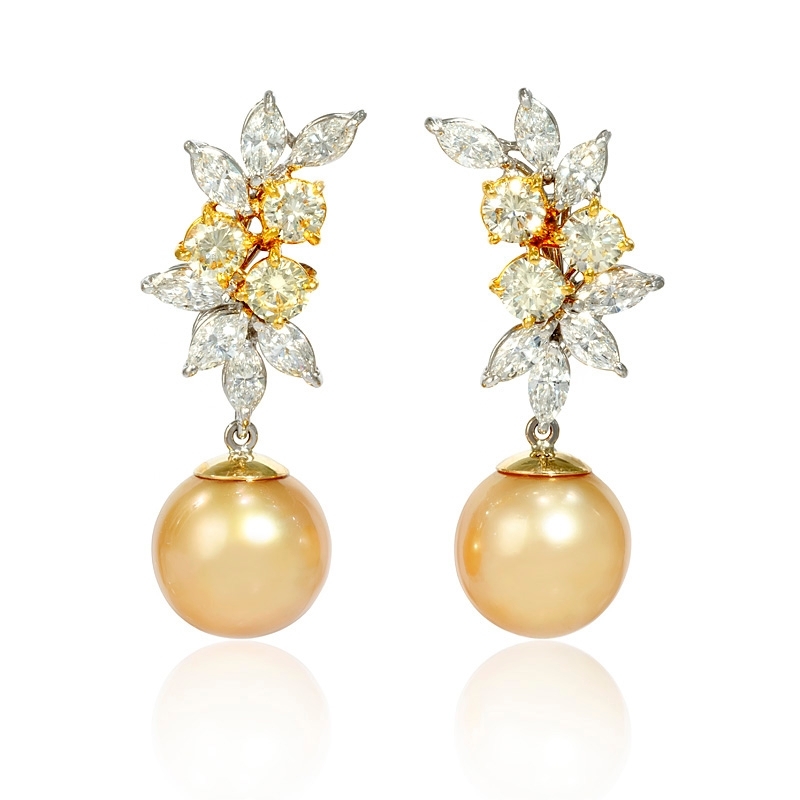 These diamond dangle earrings contain posts and omega clips with detachable pearls. 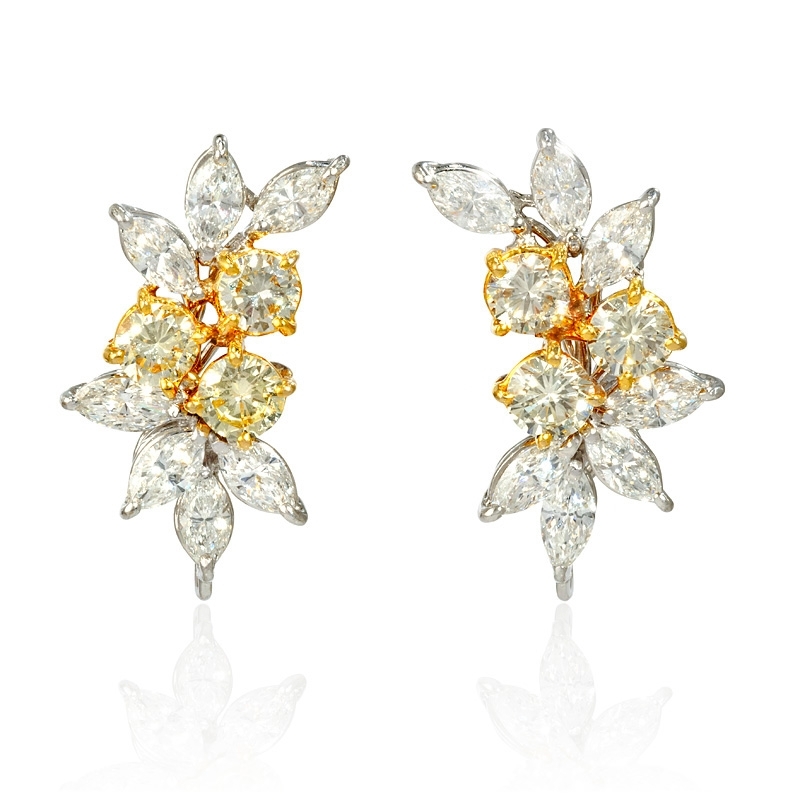 The earrings measure 1.5 inches in length and 13mm at the widest point.